Trying to find talent is not an easy task, neither is understanding how recruiters think and operate. To be an effective recruiter you have to utilize various techniques to generate leads and build talent pools. Recruiting is no longer as simple as picking up a telephone and dialing numbers all day. It’s an art form. Recruiting is not a cheap science trick. There are daily obstacles that recruiters have to face and overcome. Not only do recruiters have to carefully exert their efforts on candidates, they have to divide their time strategically between traditional and modern recruiting channels. Recruiters have to spend their time vigorously on the phone and manage to locate candidates through various social networks as well. But how much do we know about how recruiters spend their time searching for candidates? And why they operate the way they do? Here are five compelling statistics about recruiting behavior that provide a brief glimpse into how recruiters spend their time and why. 1. 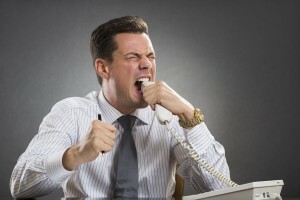 On average, recruiters spend 78,352 minutes on the phone per year. Let’s assume the average recruiter works an average of 40 hours per week. This would imply that they spend about 63 percent of their time on the phone per week. Essentially, recruiters are spending an average of 25 hours per week on the phone, which means they are spending a significant amount of time multi-tasking or potentially working overtime to complete their weekly tasks. Ultimately, the amount of time recruiters are spending on their phones means they have to work fast and effectively. Perhaps the amount of time recruiters spend making phone calls effects this next statistic. 2. Recruiters spend about 5-7 seconds looking at resumes. Ideally, if recruiters spend 63 percent of their time on the phone then it may justify why they only spend a few seconds reviewing resumes. Just imagine this for a moment: If recruiters only spend 5 seconds viewing resumes then that means they’re able to view 12 resumes per minute, which means they can view up to 720 resumes per hour. Perhaps this is all possible because recruiters have found an effective means to review and analyze resumes. They may have access to an Applicant Tracking System. Currently, 75 percent of large companies are already using an ATS. These systems save time and allow recruiters to manage their daily activities much more effectively. On your resume: name, current title/company, previous title/company, previous position start and end dates, current position start and end dates, education. Remember, job seekers face a tough and competitive job market, and recruiters are facing a tough market when it comes to placing candidates. Seventy-seven percent of hiring managers are looking for candidates with any relevant experience. Perhaps the emphasis on these 6 details is because of the type of candidate hiring managers are looking for. 4. Ninety-four percent of recruiters already use or plan to use social recruiting. Interestingly enough, 94 percent of recruiters believe that LinkedIn is the best network to vet candidates. Perhaps they are right! Eighty-nine percent of all recruiters have hired someone through LinkedIn. Recruiters are finding success with social recruiting. When they are not reviewing resumes and speaking with candidates then their time is spent recruiting candidates through social media networks. Clearly, LinkedIn is a social media channel that works and social recruiting has its benefits. Organizations have seen their time to hire improve by 33 percent, candidate quality improve by 49 percent, and candidate quantity improve by 43 percent. These numbers explain why recruiters concentrate their efforts executing social recruiting strategies. 5. Seventy-five percent of Recruiters and hiring managers check candidates’ social profiles. Since social recruiting is worth the time and effort, it’s not uncommon for recruiters and hiring managers to question a candidate’s attributes by reviewing the content they post on their social networks. Sometimes, they don’t like what they see and it causes 42 percent of them to reconsider candidates. So candidates be warned; if your social networks contain content that is potentially hazardous to receiving new career opportunities, just remove the content. Each of these statistics tell us briefly how and why recruiters spend their time while at work. It’s a numbers game, but it’s also about finding viable candidates to present to organizations. Recruiters are part artists and part scientists. Recruiters have to use their time wisely but also strategically. It’s just part of the business. Technology has added new aspects to their work, but it has also improved the way recruiters find candidates. Recruiters behave the way they do because their job is to present the most viable candidates to organizations. Plain and simple.